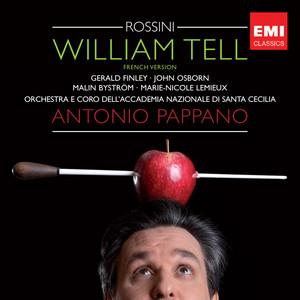 My copy/CD set of Pappano's recording of the complete 'Tell' was sloppily produced. There are several track breaks which are supposed to 'segue' smoothly, but when the CDs are played through, audible edits intrude as many tracks progress onto subsequent ones. In these days of downloads where music is sold by the track, one almost comes to expect this kind of thing in a complete opera recording (although this is still unacceptable). On a CD copy this should not occur at all. I have CD versions by Gardelli, Chailly and also the old Cetra recording released by Warner. None of those CD versions have such problems, so why the backwards technological step? And yes, I have tried the CDs on at least two CD players.